Absolute Love Publishing, 9780983301752, 264pp. For millennia, the evil Kroledutz have fed on the essence of humans and clashed in secret with the Adima, the light weavers of the universe. Now, with the balance of power shifting toward darkness, time is running out. Guided by a timeless Native American spirit, four teenagers from a small New Mexico town discover they have one month to awaken their inner power and save the world. Rory, Tima, Billy, and James must solve four ancient challenges by the next full moon to awaken a mystical portal and become Adima. If they fail, the last threads of light will dissolve, and the universe will be lost forever. Can they put aside their fears and discover their true natures before it's too late? 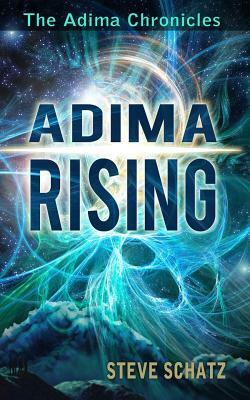 BOOK ONE of The Adima Chronices: Adima Rising. Steve Schatz grew up in New Mexico, where he actually dug a kiva in his backyard. He has traveled all over the United States, discovering how other people see the world. He has been a tour guide, party clown, TV producer, business owner, and, for the last several years, a professor of learning theory. He has always been interested in things spiritual, and a life changing experience and spiritual guidance brought him to the idea for "Adima Rising." He is at work on the next book in The Adima Chronicles and spends most of his time writing in a little house in a little town next to Yokum Brook. Other poems and stories can be found on SteveWrites.com.